The Pilot, the Advertiser, the Nor'wester and the Beacon are closing up shop, region to be served by the Central Voice. 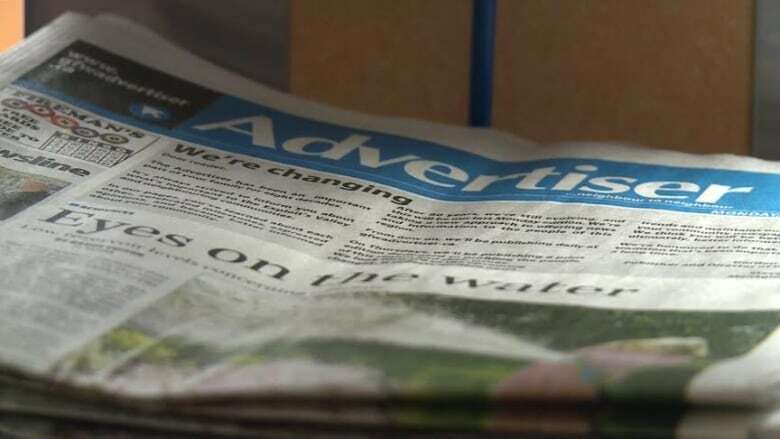 Despite assurances from SaltWire last year that there would be no job losses as a result of its buying Transcontinental Media, five people are losing their jobs and four central Newfoundland newspapers will fold in favour of one regional publication. SaltWire announced last week that the Pilot, the Advertiser, the Nor'wester and the Beacon would publish their last editions on July 26. Starting Aug. 1, readers in central Newfoundland will have a single, free publication called the Central Voice. "Unfortunately, like most companies we face the decision that we can no longer support positions that are not necessary, and that's a really sad thing to have happen for us, as you can imagine," said Lizzie Cramm, SaltWire's regional president. Cramm said the offices of those four papers would also be shuttered, meaning the staff who will write material for the Central Voice will be working remotely. "I would like to say from their homes, but actually we're hoping they'll be working from their cars, they'll be out in the field, on the ground reporting, doing their stories," she said. Closing the four publications, she said, was a decision made out of necessity after some time reviewing the operations. "Some of these papers have been around for years, you're talking about family," said Cramm. "There's no pleasure in that. It's just one of those processes that happens as you grow and as you, like I said, find efficiencies." Steve Bartlett, the managing editor, said the new paper will take a different approach — one he wouldn't expand on yet — to delivering stories to readers. "We're gonna focus on the issues and the people that matter in the region and stories that matter to the readers there … with a reach of 33,000 that becomes a very powerful vehicle for getting messages out and telling stories," Bartlett said. "Through hopefully sound and balanced journalism we're going to do some good stuff in central Newfoundland and help the communities here talk about the issues that matter to them and get some conversations going." As for the archives of the four soon-to-be-extinct community newspapers, Bartlett said he's hoping to follow the model of the Compass, where they were donated to the public library for people to research whenever they wanted. The Central Voice will start publication on Aug. 1.